Sept. 16, 2018: Thank you to Douglas Brinkley for an amazing keynote address at Friday’s Symposium! As I said at the Symposium, his book is a gift to history. We were so honored to host him and hear about Rosa’s life. She will inspire generations to come. Thank you also to Dr. Cynthia Farthing for her wonderful presentation about Hidden Figures and to Sean Donaldson from the African American Museum of Iowa who spoke about the museum and Edna Griffin, the Rosa Parks of Iowa. The museum has a permanent exhibit dedicated to Edna. Judy Stanford Miller, M.Ed., M.A. The Student Symposium will be held Friday, September 14, 2018 from 9:30 a.m. to 1:30 p.m. at the Iowa Theater in the Memorial Union at the University of Iowa in Iowa City, Iowa. Student News Net proudly announces its first annual Student Symposium. The Symposium will feature Dr. Douglas Brinkley as Keynote Speaker. The Symposium’s topic is: Actions and Accomplishments of African American Women of the 1940s and 1950s. Its goal is to bring high school students together to research and share knowledge about the actions and accomplishments of African American women in the 1940s and 1950s. All high schools are invited to participate. Student News Net proudly announces its first annual Student Symposium to be held Friday, April 27, 2018. The Symposium will feature Dr. Douglas Brinkley as Keynote Speaker. The Symposium’s topic is: Actions and Accomplishments of African American Women of the 1940s and 1950s. Its goal is to bring high school students together to research and share knowledge about the actions and accomplishments of African American women in the 1940s and 1950s. The Student Symposium will be streamed live and have an online presence. All high schools are invited to participate. Dr. Douglas Brinkley, award winning author and historian, will deliver the Keynote Address discussing his book, Rosa Parks: A Life (2000). Students will read Dr. Brinkley’s book before the April Symposium. Students and teachers are invited to submit presentations about the book and related topics including research on Edna Griffin, often called the Rosa Parks of Iowa; African American Rosie the Riveters during WWII; and NASA’s African American women mathematicians, known as human computers. Their amazing story has recently been told by Margot Shetterly, author of Hidden Figures (2016). A Study Guide, learning activities, vocabulary lists, and multimedia can be found in the “Core Content” section and downloaded. Teachers and students will also be able to interact and collaborate through the website on an ongoing basis through June 1, 2018. Presentations and other artifacts of student learning will be posted from March 1 through April 1, 2018. A few presentations will be chosen to be featured at the Symposium. 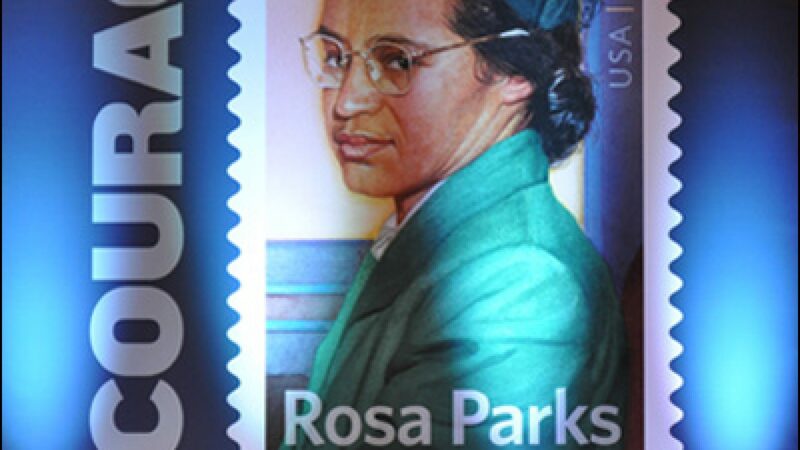 Student News Net has arranged a bulk educational discount for Rosa Parks: A Life by Douglas Brinkley through the book’s publisher, Penguin Books. A bulk discount has also been arranged for Hidden Figures by Margot Lee Shetterly through its publisher, Harper Collins. If interested in purchasing one or both books in bulk, contact Judy at jmiller@studentnewsnet.com. Note (Sept. 10, 2018) – The Symposium will not be streamed live. Video of Dr. Cynthia Farthing’s address and Sean Donaldson’s address will be posted on this website following the Symposium.